Recent decades have brought dramatic changes in the engineering and construction industry. Buildings themselves are becoming modern and increasingly more complex, with sophisticated electrical and mechanical installations and structure systems—and they are not going to get any simpler. 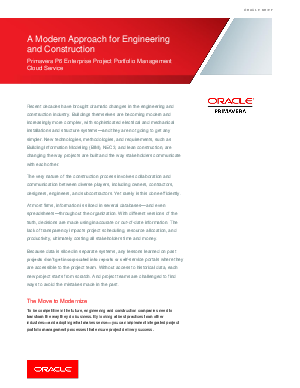 New technologies, methodologies, and requirements are changing the way projects are built and the way stakeholders communicate with each other.